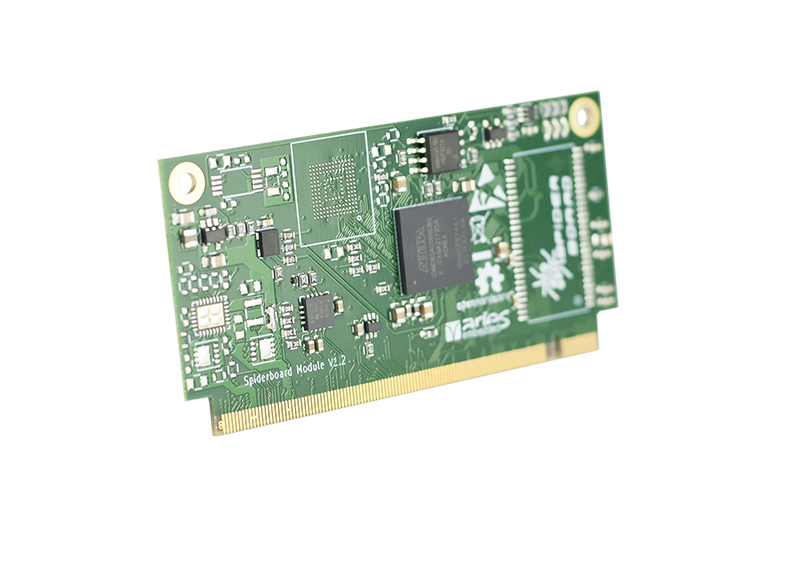 The SpiderSoM is a programmable, non-volatile solution based on Intel® MAX®10 FPGA, which enables it to deliver full-featured FPGA capabilities. The SpiderSoM is available as a low cost and extremely flexible platform which enables user to setup a running system according to the required specification in a very short time. SoM is based on the free and open design concept: KiCAD design files are available under CERN OHL v1.2. 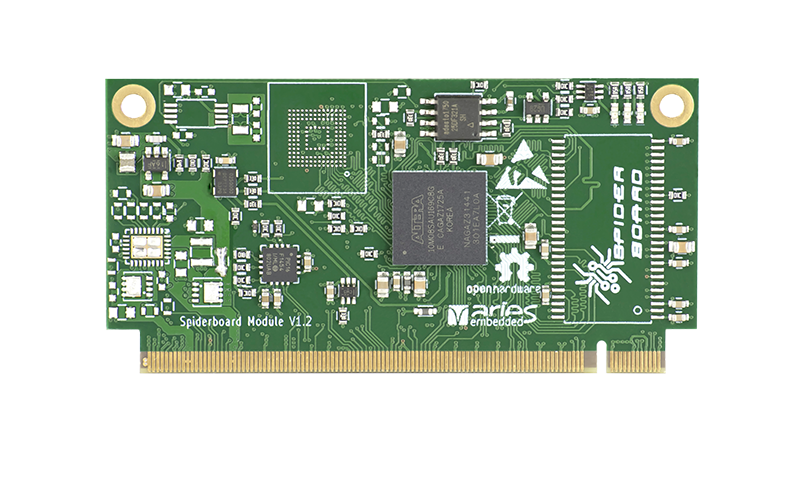 MX10 and SpiderSoM modules provide a USB device interface implemented with PIC16F1454 microcontroller (MCU). On the SoM side the MCU is connected to three interfaces: serial (if the other side is implemented inside the FPGA), I2C bus (connected to the module PMIC, charge controller, RTC and FPGA), and FPGA JTAG programming interface. On the host side Linux is supported as Operating System, currently Ubuntu16.04LTS is marked as a reference base. The SpiderSoM promotes the free and open design concept: KiCAD design files are available under CERN OHL v1.2. 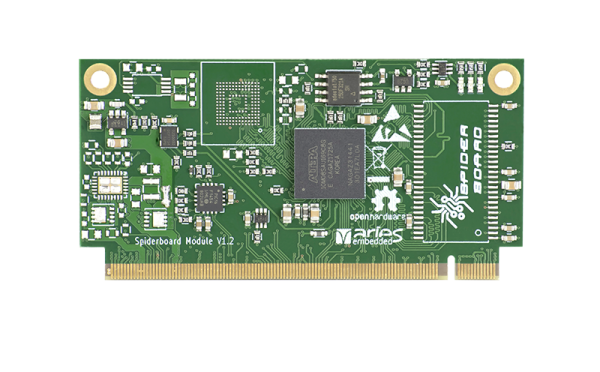 While the MX10 SoM targets the area of professional electronic designs in commercial applications the SpiderSoM was designed to be used in IoT Maker applications.